"Quality Oak Architectural Carpentry Company"
"The project was completed on time and within budget"
"We would highly recommend Dean Oak Framing"
"Extremely impressed with the service from Dean Oak"
"The finished product is absolutely outstanding"
Dean Oak Framing is a small family run business based in the Forest of Dean in Gloucestershire. 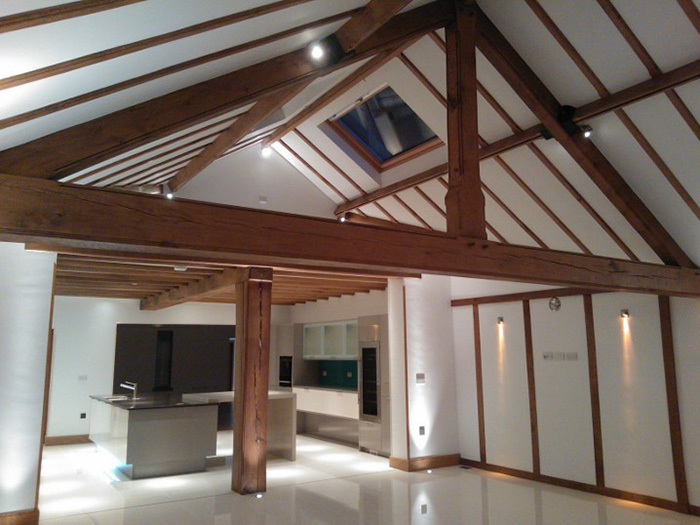 With over 30 years in the building and construction industry and the last 20 years working with green oak. 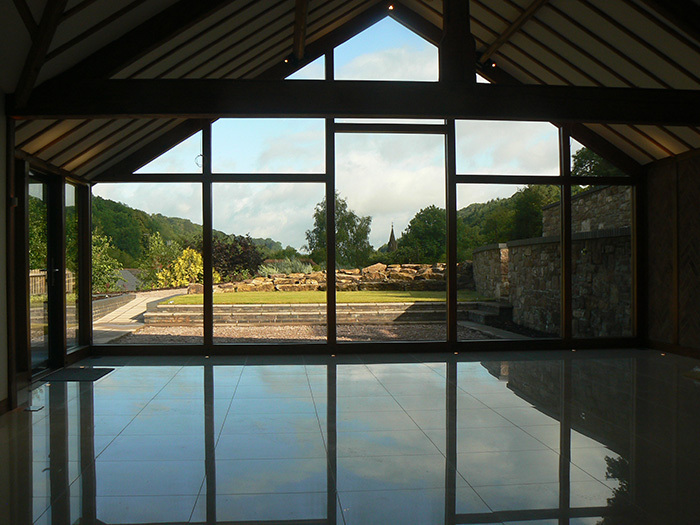 We can confidently take on the challenging and the unusual as well as the more conventional of projects. 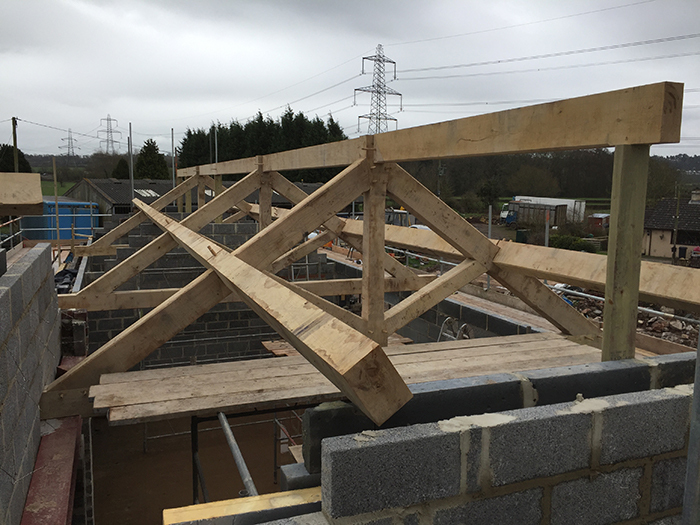 High quality of workmanship and honesty are very important within our work ethic, and we have an excellent record of delivering projects both on time and on budget. No job is too small or too big, as we have a pool of experienced carpenters that we can call upon to service all sizes of projects. 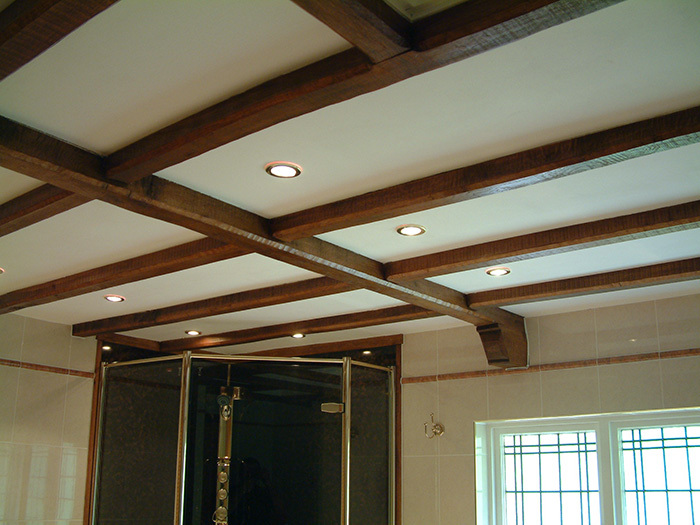 We will only source quality materials which are all inspected upon arrival and replaced if not to specification. 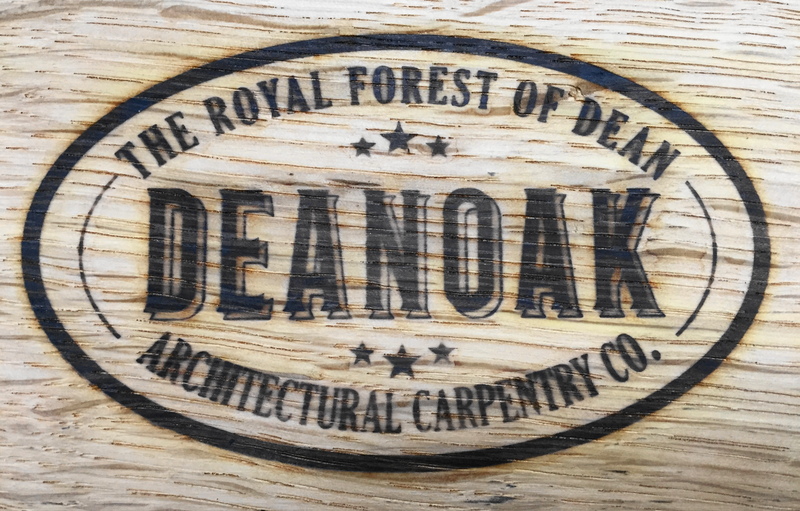 The majority of our oak is sourced directly from trusted suppliers in France. We also deal with several local and regional sawmills should the customer specify English oak, and if requested can supply exclusively locally grown Forest of Dean Oak. All of the timber that we use is PEFC or FSC certificated. 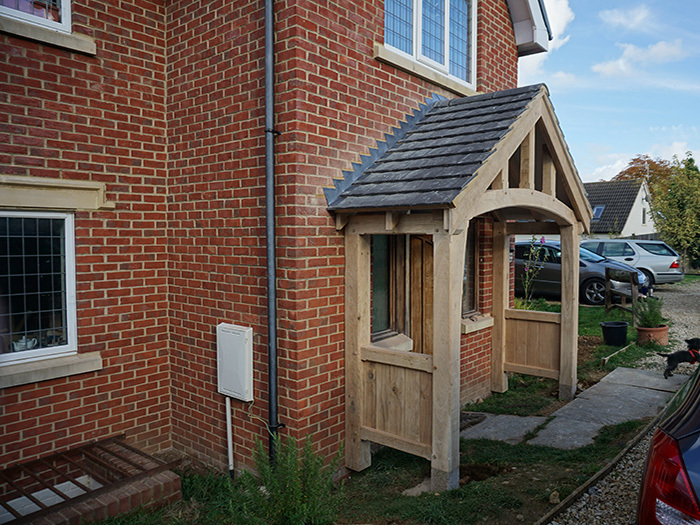 All projects are hand made using hand tools and hand operated power tools using a range of traditional and time tested joints all draw bored and pegged using hand drawn oak pegs. We strive to emulate traditional and time tested designs and proportions, to create aesthetically pleasing and structurally correct designs. 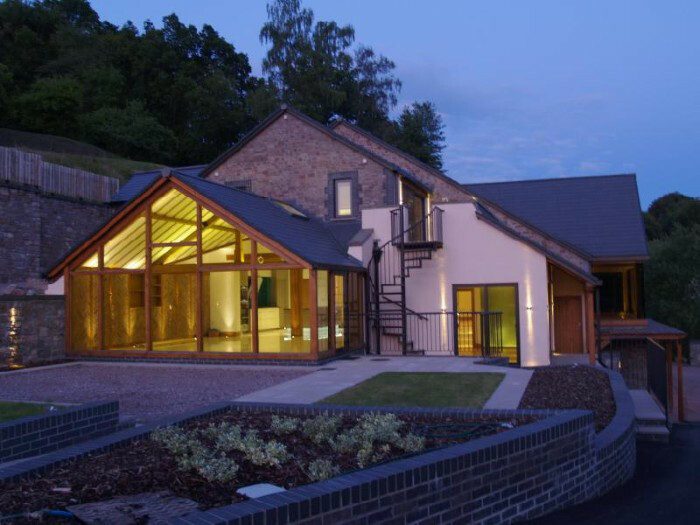 Many enquiries that we get fall outside of the traditional time evolved designs, such as conservatories, garden rooms, and contemporary design and require innovative solutions and often the incorporation of stainless steel plates and fixings. 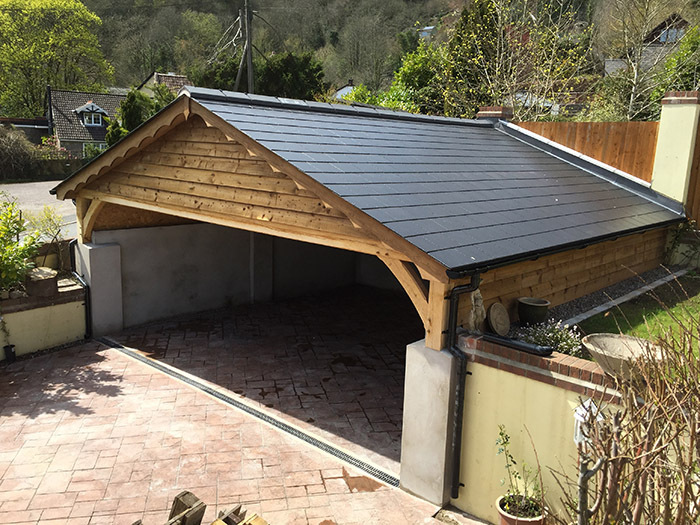 We often boast that we can make anything – ‘you think of it and we’ll make it’ - which may be a bit ambitious, but we will look at any unusual project and do our utmost to come up with a solution that is both cost effective and looks good. 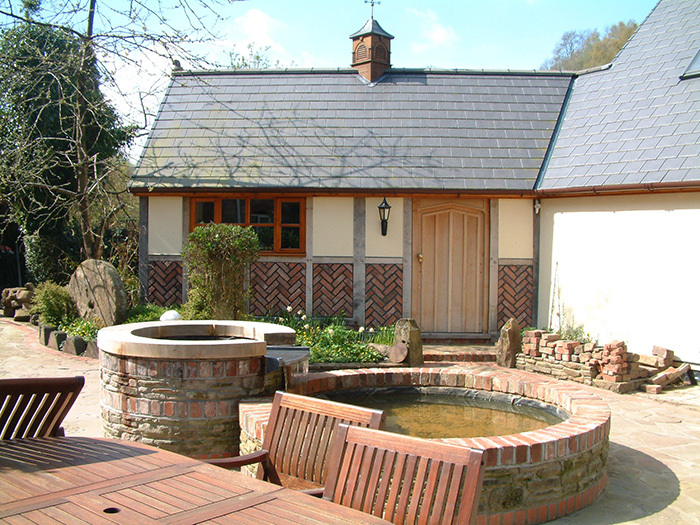 We have supplied Green Oak Frames and Roofs all over the country and to Northern France. 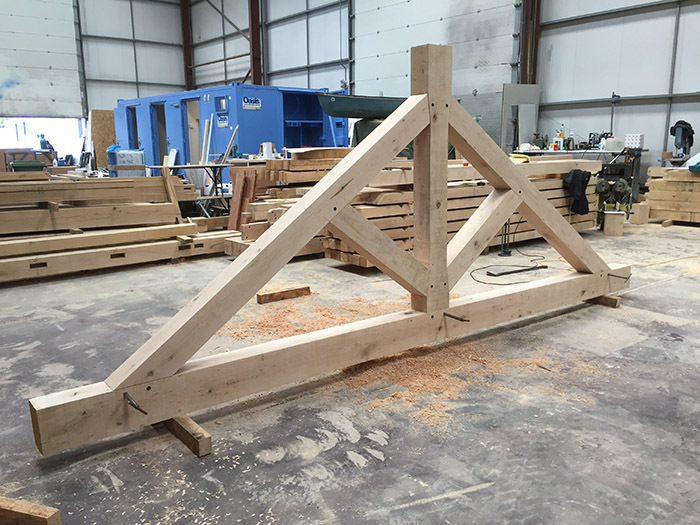 All made here in the Forest of Dean, assembled for fit in the workshop, then dis-assembled and transported to site for either the customer and/or their builders to erect and install or we are happy to include that part of the job in the quotation that we provide. As a company we always strive to keep our overheads low so as to be more competitive, whilst at the same time delivering a higher quality job to our customers. We would welcome the opportunity to work for you and look forward receiving your enquires and instructions. Nick Jones – Director and Owner. Just to say a big thank you to both of you for all the hard work you put in and to say that we are delighted with the final result. Everything has been signed off by the Building Inspector who was very complementary about your workmanship. My, Grade 2 listed, garage outbuilding was a crumbling eyesore desperately needing renovation. 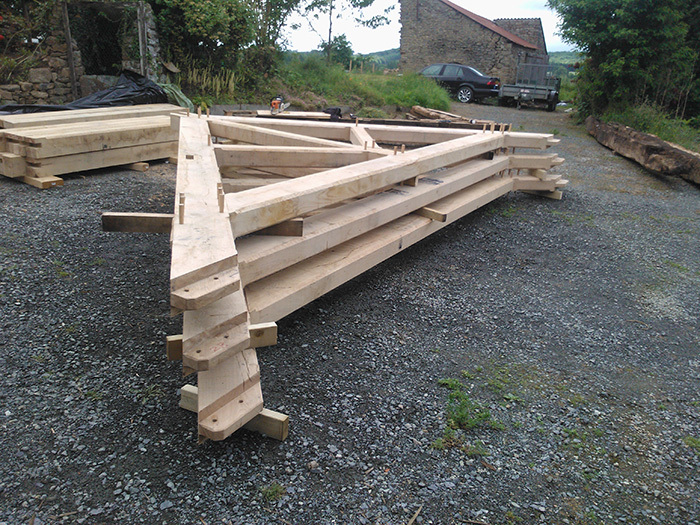 After getting nowhere fast with some specialist timber frame companies, from heritage building publications, I came across Nick via his eBay listing. I sent him a simple design brief and he got back to me very promptly with his ideas and costings. He then put me in touch with a previous customer fairly nearby to view his workmanship. I felt completely reassured that his company was right for my needs. 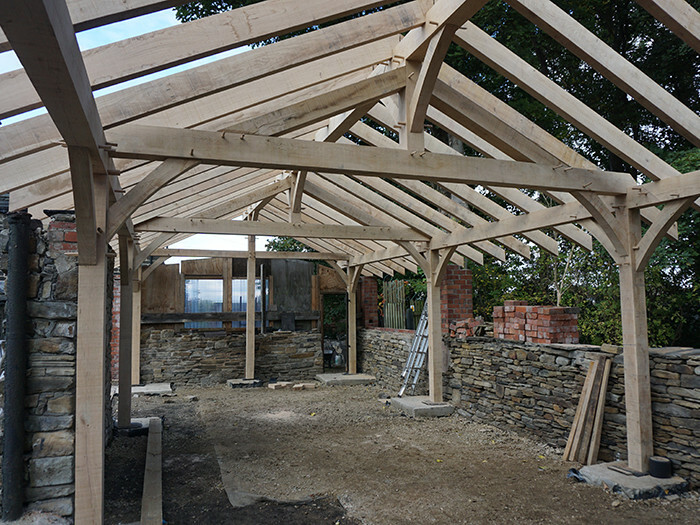 We agreed a timescale and the construction of the frame inside the remaining confines of my 'listed' stone garage walls took just two days of hard work from Nick and his team. What appeared was a thing of such beauty that passers by were transfixed and comments such as "It'll be a shame to cover it up," were common-place. I just wish the other so-called professionals I've engaged as part of my project had been half as committed to doing their jobs properly. 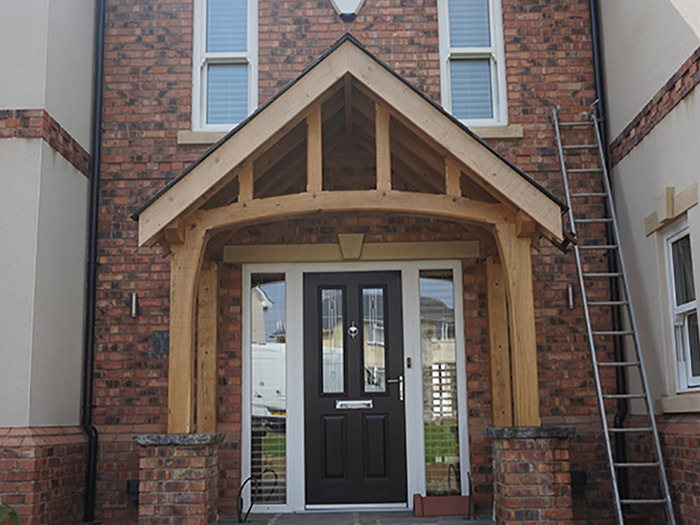 If you are considering a traditional timber frame don't hesitate to contact Nick at Deanoak for straightforward advice, top quality design and workmanship at a very competitive price. 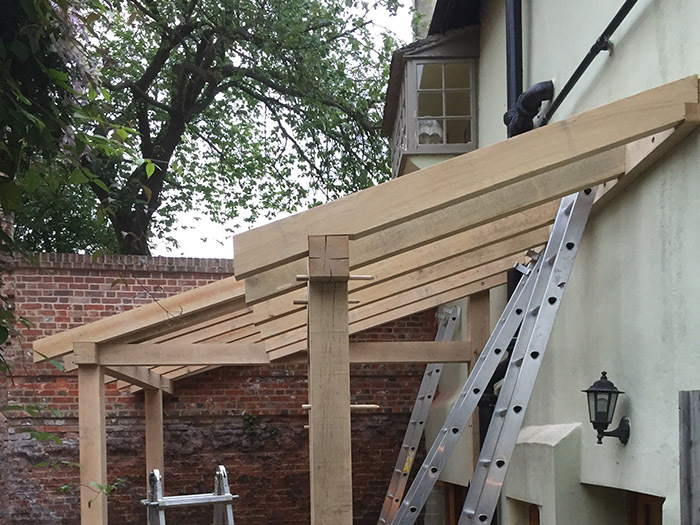 During early spring 2016 I started looking for someone to design , build and fit an oak framed porch to complete my self build. I started to realise very quickly that this is a specialist trade which didn't seem to exist anywhere near my home town of South Wales. 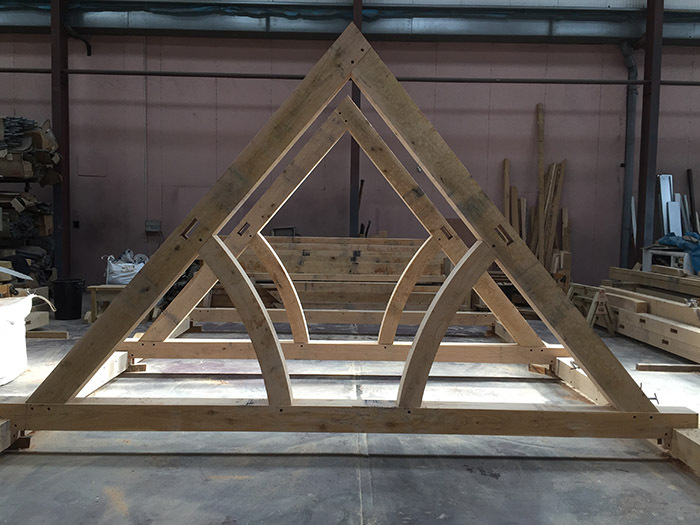 I contacted quite a few companies with not much luck but then came across Nick at Forest of Dean Oak Framing. He was more than happy to help and drew up various options quickly with a very competitive price. The finished product is absolutely outstanding and I couldn't be happier. I would highly recommend Nick and needless to say any further work I require will be completed by them. I came across Dean Oak by chance and I am glad I did, I knew the look I wanted for a large oak truss and side frames for a balcony extension but the help I got from Nick in getting the joints and sizing right was superb, it was delivered on time, and a good price, the finished article was beyond my expectations, since then I have gone back twice more for further frames and each time I have been pleased with the quality and service, I will also be using them again when we get to the porch. 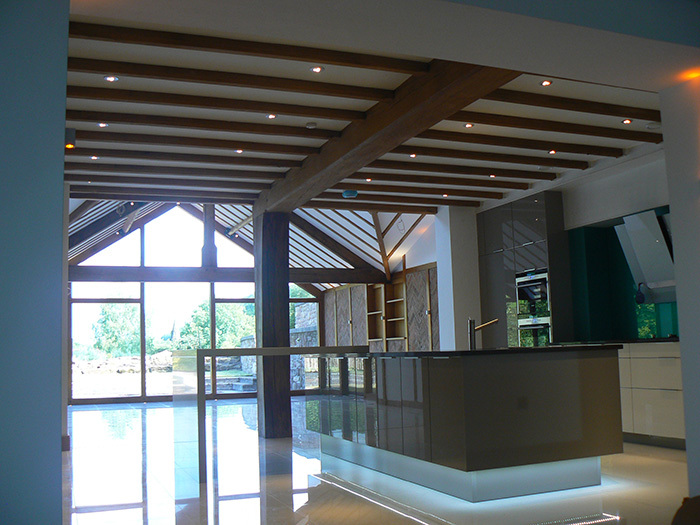 We were extremely impressed with the service from Forest of Dean Oak Framing. From our first contacting Nick he came out and visited the site within a week, and then supplied initial drawings within a few days. The job was completed on time and within budget and we are extremely pleased with the end result. 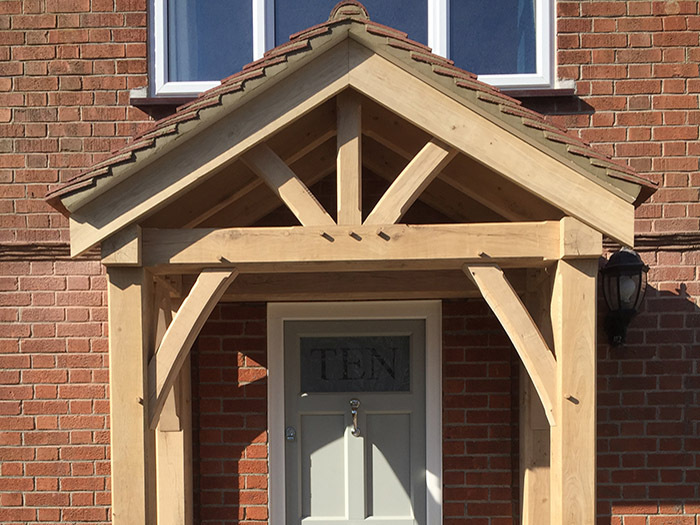 We would highly recommend Forest of Dean Oak Framing. 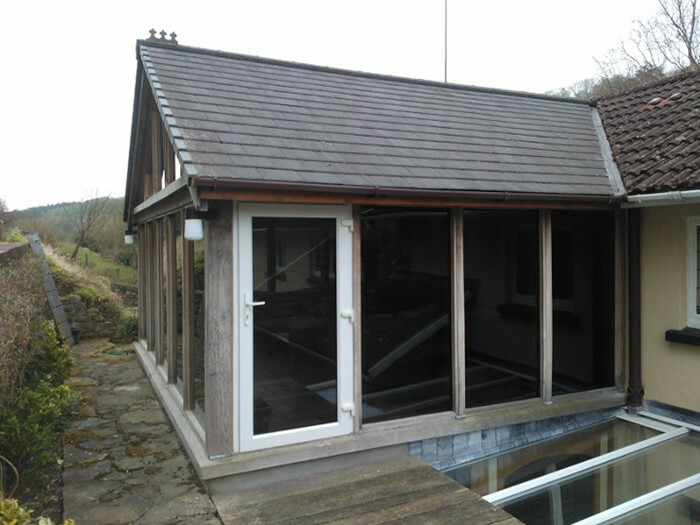 Using only quality materials, sourced from trusted suppliers, we can manufacture frames and roofs from the smallest porch to complete buildings. 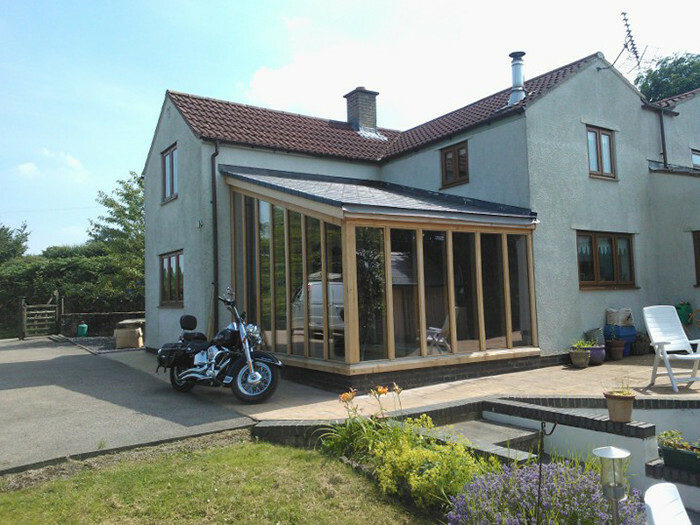 Either to your specification and design, or we can design and build for you. From that perspective we strive to emulate traditional and time tested designs and proportions. 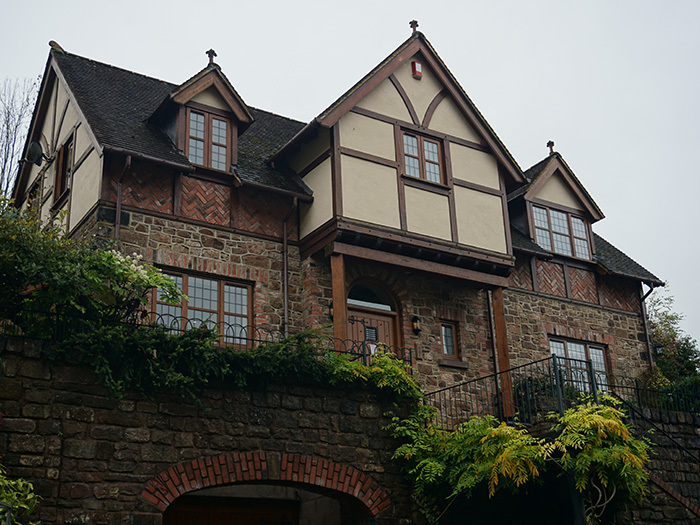 We aim to create aesthetically pleasing and structurally correct designs, incorporating decorative features such as mouldings and curves. We can also do contemporary with clean lines and sharp corners, complimented with stainless steel joints, brackets and dowels. Aesthetics are key with this type of work. The finished job has to look good and right. 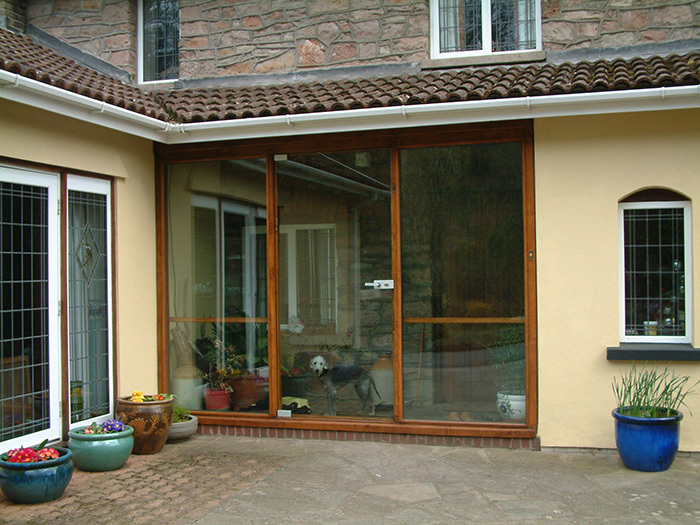 Generally timber sections are over-specified to achieve the correct look. Getting that aspect of the design right and balanced is crucial and only comes from experience. We can work from your designs, with your own architect or structural engineer, or we can provide structural calculations via our engineer. We are also happy to liaise with local building control where required. 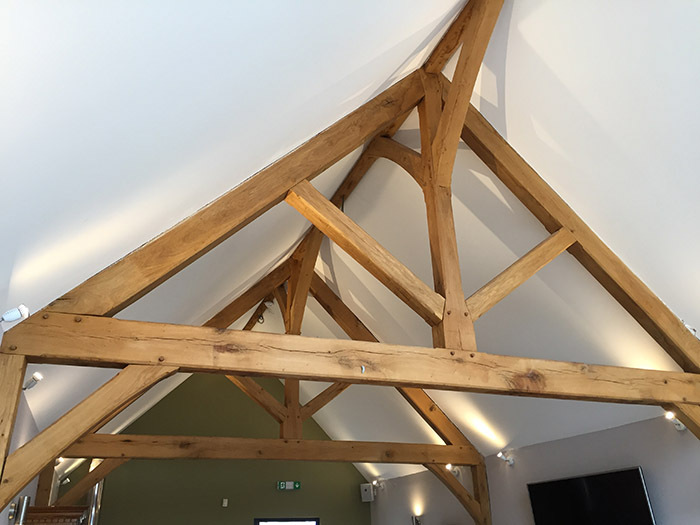 We have extensive experience with all aspects of building, including with listed buildings, so can confidently advise, specify and understand interactions between the oak frame/roof and the existing structures and buildings. Also in addition to our mortising equipment we have specialist deep slotting equipment for machining housings for stainless steel plate joints in all sizes of beam. 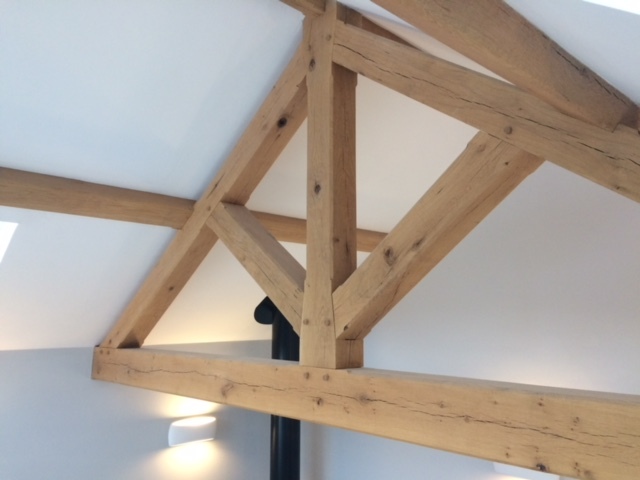 We can supply individual or quantities of green oak and air dried oak beams of all French and English grade specifications, up to dimensions 300mm x 300mm and 13m in length, at competitive rates. 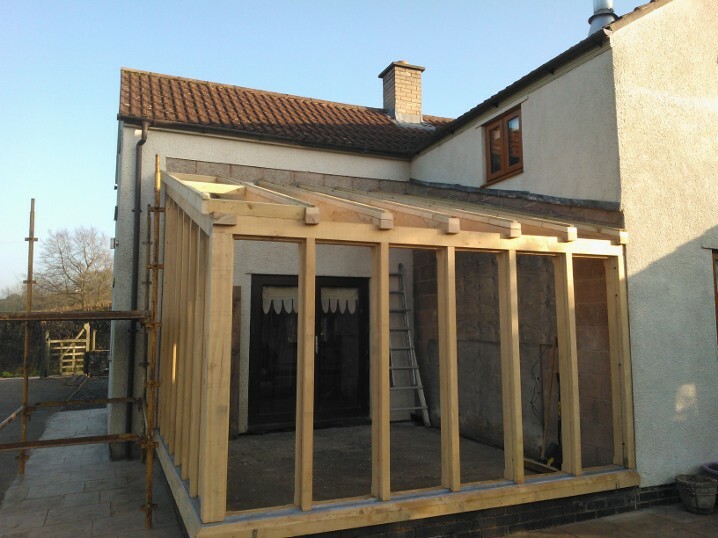 Load More Dean Oak Framing build and design bespoke timber houses, porches, garages and out buildings. Please look through our portfolio and contact us for more information.